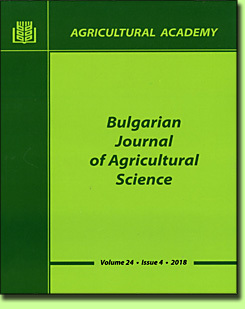 From the beginning of 1995 the Agricultural Academy in Bulgaria is publishing Bulgarian Journal of Agricultural Science® (BJAS) - the first agricultural scientific journal in Bulgaria for fundamental and applied researches, published entirely in English language, and one of the few such journals in Central Europe. Bulgaria is an agricultural country with traditions and long standing experience in the development of agrarian science and production. BJAS, printing in English, in accordance with international standards,provides possibilities for Bulgarian agricultural science to enter adequately into the worlds scientific field, to find its place in reviews, abstracts and electronic means for processing and transfer of scientific information. Besides scientific articles provided in Bulgarian universities and research institutes, BJAS publishes also articles from Eastern Europe and other countries all over the world. The Editorial board of the journal includes prominent scholars from Germany, United Kingdom, Austria, Italy, Spain, Japan, Greece, Bulgaria and other countries. Bulgarian Journal of Agricultural Science (BJAS) is a peer-reviewed, open access, online and print journal, issued bimonthly. It has been published in English since 1995. BJAS publishes original research papers, review articles and brief communications form all areas of agricultural science including agricultural economics, agroecology, agrochemisty and soil science, crop science, plant protection, animal science, veterinary medicine, fisheries and aquaculture, agricultural engineering, food technologies and other related areas. The journal publishes original articles, reviews and short communications that contain original experimental data or new interpretations of existing results. They must comply with the themes of the journal and have not been published elsewhere. Plagiarism is unacceptable for the journal. Use of foreign ideas and images in their original form is allowed only in their exact citation. 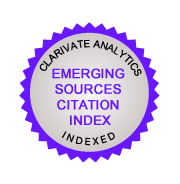 All submitted articles are checked for plagiarism and when there are large parts already published texts or data, the articles are rejected. We do not accept manuscripts that are fully or partially published in other publications. The manuscript, written in English, should be submitted online after registration. After the reception of the article, the manuscript is given to referees for anonymous peer review. Authors will be notified about the acceptance or rejection of the manuscripts. The corrected manuscript should be submitted to the website of the journal. The editorial staff is not responsible for inaccurate citations, including the content of websites and copyright infringement. The publishing fee is 10 EURO per standard typescripted page. The subscription price is 200 EURO per year.